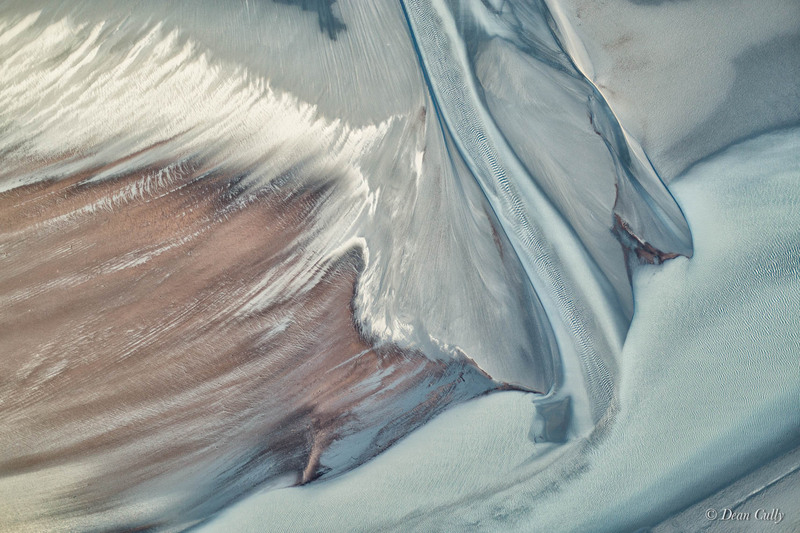 Flying along Turnagain Arm looking for interesting things to photograph, I came upon this amazing mudflat alluvial fan of multicolored algae and silt, not far from the town of Hope on the northern edge of the Kenai Peninsula. This was from about 1000 feet, shortly after I first encountered it at around 500 feet; late Summer 2014. I subsequently returned weeks later but have yet to see this again. The tide will tell again—someday, I hope (5110). ——— Honorable Mention; 2016 Alaska Positive biennial state-wide exhibition year-long travelling statewide exhibition of 36 images including 3 top-placeholders and 4 honorable mentions.